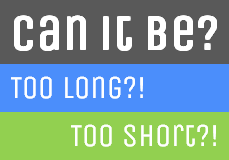 Does the Length of a Blog Post Matter? Today, I'm gonna be very straightforward and boring, folks. Pardon me for the lack of deliciousness throughout the post and you will have to pour the gems. I'll let you decide though ;) Actually, I had another post coming and even scheduled to be published. But something terrible happened about a few hours ago - I CHANGED MY MIND! 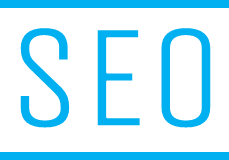 If you are a blogger or webmaster, I have a question for you - How many of you are familiar with the term Search Engine Optimization (SEO)? I don't think I can find many bloggers or webmasters who haven't heard of this term. May be you are already experimenting with advanced techniques too. I'm not sure about webmasters, but I know that bloggers are very fond of SEO. Why don't we just talk about it? So you want to be a Pet Blogger 'eh but not sure where to start? 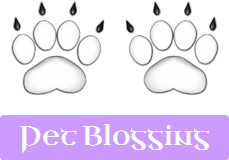 Or maybe you already having your blogging platform and blog established but you're not sure how to "Network" with other Pet Bloggers and get your blog seen? I'm here to tell you, after being a Pet Blogger myself for a few years, it's a tough world! But don't get discouraged! We all have ambitions in our lives. What's yours? I'm not gonna talk about HOW TO achieve your ambitions or sort of a topic. But a thought hit me when I was going through some spammy comments. Hmm... You already know the reasons why some comments may not get approved. We all talk about being non-spammy, ethical, earning respect and all that. 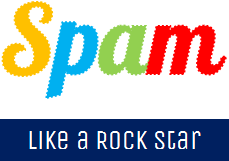 But why don't we talk a little about hard working spammers? Don't we need spammers? Not for us, but for businesses. 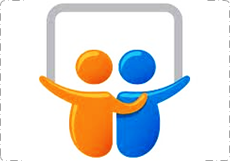 SlideShare is one of the top and fastest growing online communities. It is owned by LinkedIn. It is used to create and share visual presentations. Forbes reported a few weeks ago that “SlideShare is a major tool in the content marketing arsenal.”. They have 60 million visitors a month and are one of the top 200 websites visited in the world. Have you started using SlideShare? Learn why you can use it for your blog today. 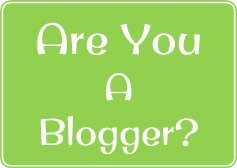 Do You Call Yourself a "Blogger"? I was exploring about some online statistics and the increased rate of blooming blogs made me think about bloggers. Can we really call ourselves, "Bloggers"? Mmm... If we have and manage our own blog, we might start calling it ourselves eventhough we don't find what's blogging is in the first place. It will take time and effort to be recognized as a valuable blogger instead of being just the blogger who has a blog. What really made me think that, the people who known as bloggers misusing the idea behind blogging. Don't you have a blog yet? 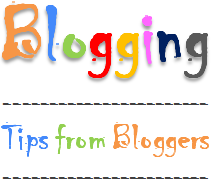 There are many free blogging platforms for you to start with. Start one today and you will be ready to call yourself a "Blogger". BUT?! Now let me start this brand new year saying "HAPPY, HEALTHY & PROSPEROUS NEW YEAR" to you and your family :) I'm pretty excited about the new year as I have many different goals to accomplish and I believe it's same for you too, even it could be in so many different levels. I know many of bloggers who follow the ethical blogging approach always as they don't use blogging just to be successful in their lives though it's a part of their business or online business. It doesn't mean they all had the right mindset when they start blogging, but the best part is now they are having the right attitude after being through many circumstances which even someone can't imagine. Do you have the right attitude in blogging? 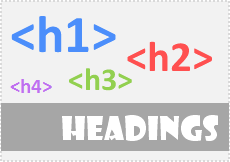 Do You Make Use of HTML Header Tags? When you write blog posts or articles online, the flow and format of the post is very important. If you are just writing and writing never ending posts or articles, it will sometimes overwhelm your readers though it has very good information. You can just read through your post once or twice before its being published and it may ring your bell. I don't believe writing posts just using text is can claimed as bad. It's about keeping reader attention attached to your writing. Here, I'm gonna talk about an element which could help guide readers and structure your writing - Headings. Have you been using headings in your posts or articles? Wait... Let me guess, you are either a blogger or an online reader, orrrrr both. Aren’t you? Anyway, as you go through a weblog, you can see a comment form beneath blog posts. 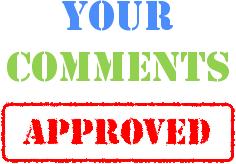 The comment form is the best way for blog visitors to interact with the author and to share their opinions. You are always welcome to share your opinions on mine ;) Eventhough you can write anything on a comment form, it doesn't mean you should write anything and submit. There is a reason why you see comment forms beneath the blog posts, not somewhere above the post. Wondering why? What you have been doing online? Probably, you have been looking out for news, doing shopping and general stuff online. But it's quite different if you are a blogger or person deals with the back end of a website. 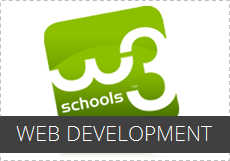 There you need to be knowledgeable in web design and development technologies. If you are really into web designing and development, or made the choice to start your career in that pathway, you may have enough knowledge about them. But if you are a newbie to web, how do you gonna start with? Your Blog is the Best. Do You Wonder Why? 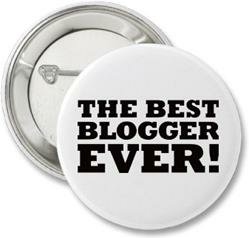 If you are reading this and you are a blogger you know it. Your blog is the best. You know so, because you are putting a lot of work in it to make it the ‘perfect blog’. You spend hours and hours working on it. And because you are a blogger you are doing everything yourself, from finding the perfect subject to blog about until that almost magical moment when you click the ‘publish’ button in your favorite blogging tool. Are You Scaring Away Commenters? What I mean is, are your readers able to comment on your blog with NO ISSUES? 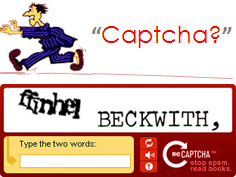 I find this on more Blogger/Blogspot blogs than anything. I read a great post, I want to add a comment, and yet I can’t!